Southern In Law: Pin It Party! That would be my overly excited face! When I saw Lindsay's Pin It Party, I couldn't help but join in! I've recently fallen in love with pinterest (here's my account!) so any excuse to pin is good with me! What's better than a cookie? Why, a giant cookie of course - and what's even better than that? One that's way better for you! 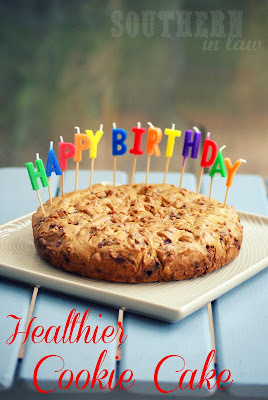 In the past, I found so many healthier cookie cake and cookie recipes that were filled with beans or weird flours - so I wanted to simplify things! 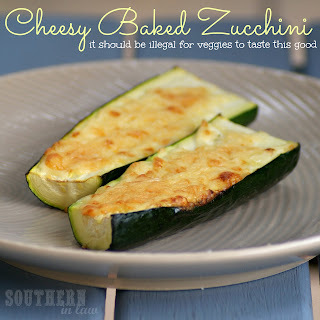 This recipe uses ingredients you probably already have in your fridge and pantry and the entire recipe only uses 4 tbsp of butter or margarine. Best of all, it doesn't taste healthy at all - in fact, Jesse still thinks I'm lying about it and his birthday cake was filled with butter and sugar and all of that usual stuff. Next up is the recipe I'm kind of, sort of addicted to. 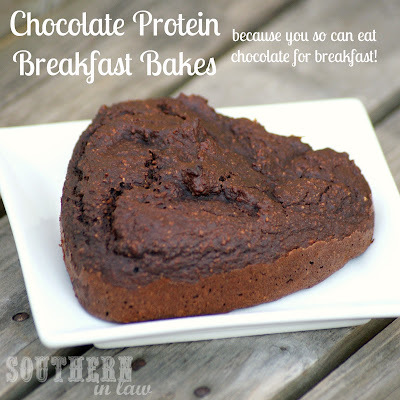 These breakfast bakes are amazing - to the point where I nearly cried in the middle of the supermarket because they didn't have any cocoa powder and I desperately wanted to make a new batch (as I'd eaten two whole batches). Inspired by a question from a reader/blogger, this post is one that I have received dozens of emails and messages about - and I know how others have found it helpful, so I think it's important to share. I think it's safe to say that all bloggers fall into the comparison trap at one time or another, but in this post, I share what every blogger should know - and tips on how to stop comparing yourself and embrace you. 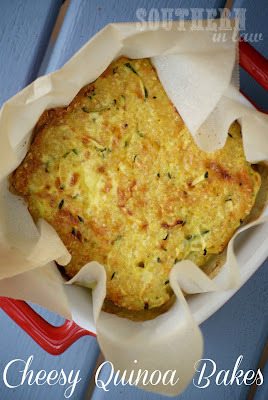 This recipe has been a huge hit - with my family, my friend's families, kids, adults, quinoa haters - you name it, I don't know of one person who hasn't liked it so far. If you're looking for a new lunch or dinner recipe to try that is healthy, nutritious and delicious - this is for you. It's easily adaptable and we've added ham, bacon, cooked chicken, different veggies/spices/herbs - all depending on what we've had in the fridge and pantry. So there you have it! What do you think - is there anything I've left out, or should have added? Don't forget, if you've tried one of my recipes - send me a picture! I share reader creations every week in our newsletter and it's so exciting that you're all loving our recipes too! But tell me, on this lovely Friday afternoon - what are your weekend plans? I just literally clicked on all of those links - they all look great! I am particularly intrigued by the blogger insecurities post - as I blogger I find myself constantly comparing myself to others, and it can be quite self-destructive. Can't wait to read! Thank you, lovely! 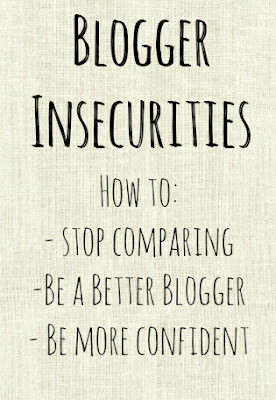 Definitely check out the blogger insecurities post - I think it's a must read for all bloggers!